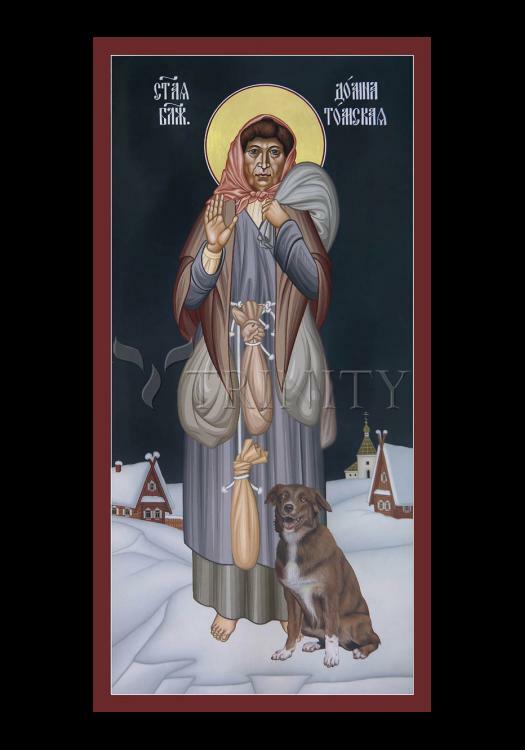 St. Domna was born into a noble family in the central Ukraine at the beginning of the nineteenth century. Not wanting to marry, she secretly left her family and lived as a pilgrim, wandering from one shrine to another. She was arrested for not having a passport and was exiled to Siberia, where she settled in Tomsk. She began dressing in rags and assumed the ascetical life of holy foolishness. Bags of all sorts hung from her body, filled with bits of glass, incense, bread, sugar, shoes, ropes, stones, and other things. The local people loved her.